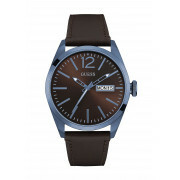 This stylish men’s watch by Guess features a brown genuine leather strap and face. 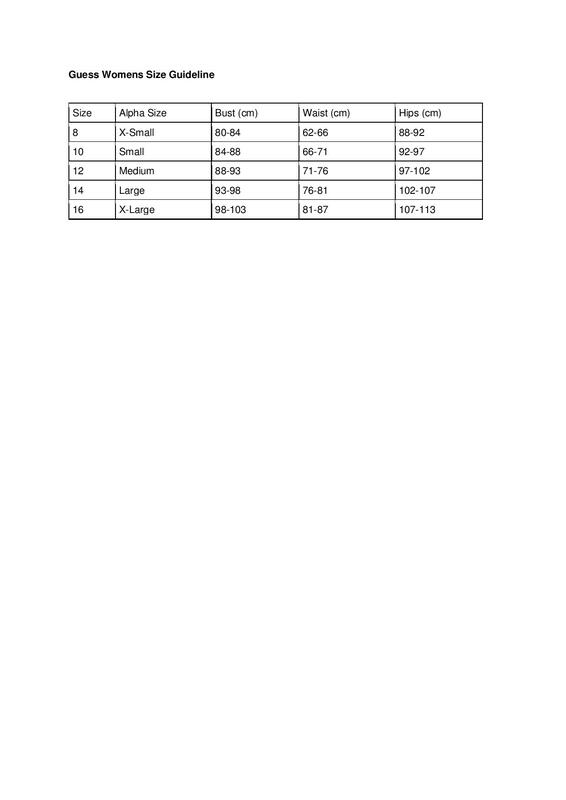 The face also features a white date display and blue numerals which complement the blue casing. 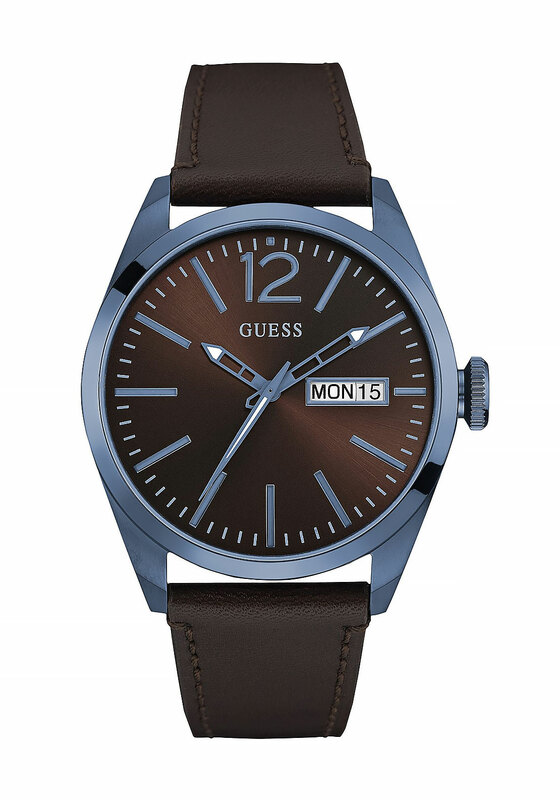 This watch is water resistant and is presented in Guess packaging.